Fun, fun, fun! This is the kids' room! It features 4 bunk beds: 3 are full-over-full, one is twin-over-twin. 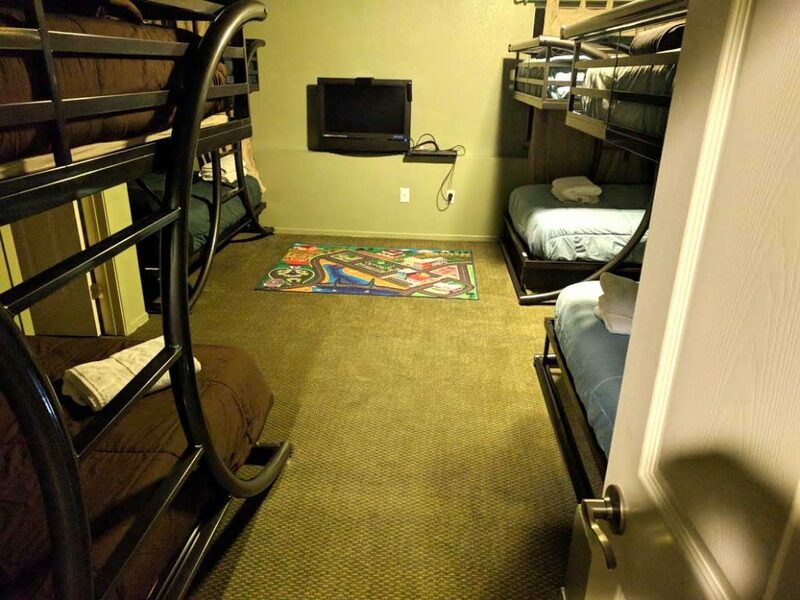 We make up the bottom bunks for you, someone in your group must make up any top bunks you are planning to use (we provide the sheets!) 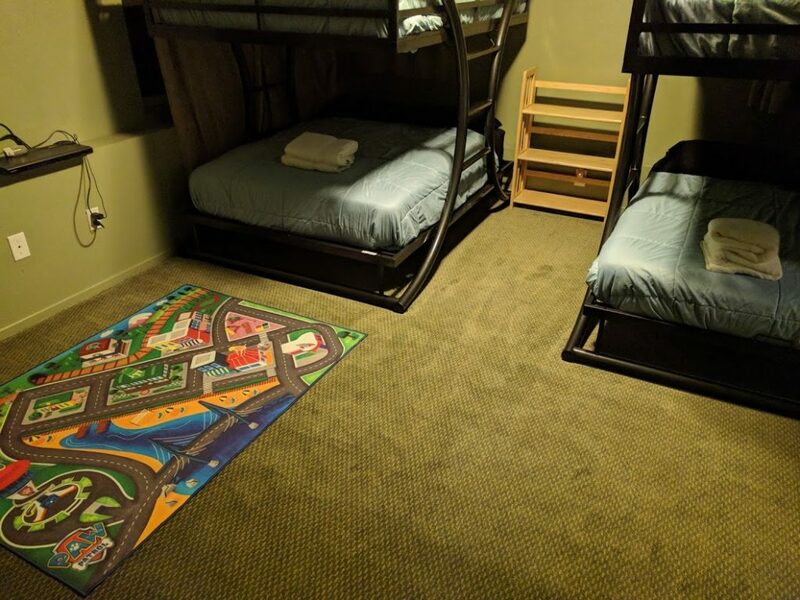 Kids LOVE this room!